Shared bike lanes: Commuters' paradise or hell on wheels? A new plan allows skateboarders, kick scooter riders, and rollerbladers to use Vancouver's separated bike lanes. But can cyclists and skaters learn to share the road? 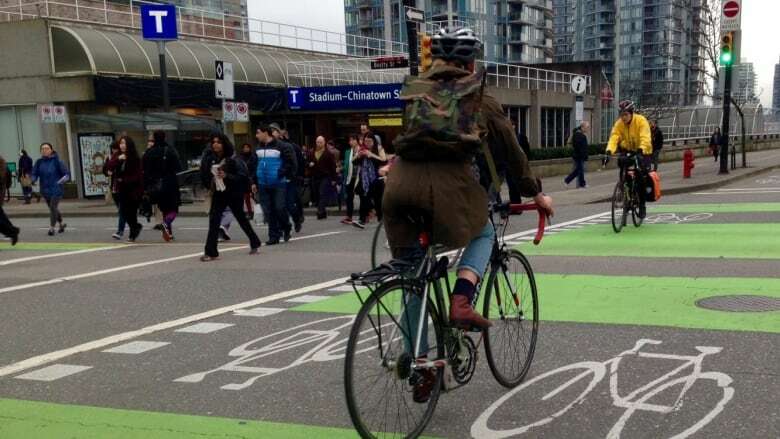 Vancouver's ever expanding bike community received another boost this week, when city council approved the building of 12 new separated bike lanes. But there's a catch. The lanes aren't just for cyclists anymore. The plan includes a pilot project allowing other human powered modes of transportation — skateboards, kick scooters and rollerblades — into the bike lanes, bringing a whole new meaning to the slogan "share the road." Erin O'Melinn of the cycling advocacy group HUB says it is not opposed to the idea, but there needs to be a conversation about how all the different wheeled devices and their users can coexist and stay safe. "For example we know that people biking will generally be going faster than people on skateboards," she said. "So how can we talk about passing? At the same time we want people on skateboards to be safe." One potential problem is that cyclists tend to ride in a straight and narrow line, while skateboarders and rollerbladers sometimes go side-to-side slalom style, to control speed. O'Melinn says it's those kinds of details that need to be addressed. "We want to make sure that people on skateboards, for example, are not using the lanes for practising tricks but for getting places," she said. "One thing we want to be clear is that the lanes are there for transportation." Skateboarders who spoke to the CBC thought expanding bike lane use was generally a positive step. 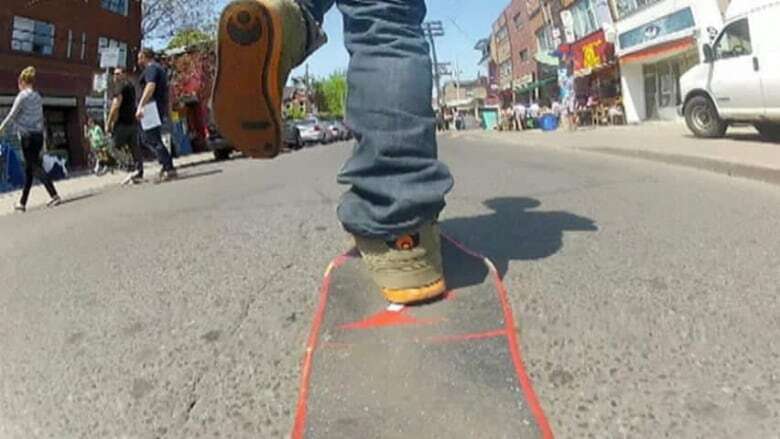 "I think it's a good thing so that you're not on the sidewalk disturbing people who are walking, because [skateboards] can keep up with the speed of a bike," said ​skateboarder Ignatius Stewart. "I think it will be fine." Others note that only a segment of the skateboard population is likely use the lanes. "It's catering to people who ride long boards." said street skater Chad Murray. Murray worries that opening up bike lanes to skateboards means the city will start cracking down on people riding outside the lanes. "I think skateboarding likes to exist between the rules a little," he said. "But obviously the city likes to control everything."